Learn how to make money online even if you don’t have a lot of money or experience. Sign up for Jungle Scout then follow our 4-Chapter process below to start your own Amazon business! My name is Greg Mercer, and I’m excited to meet you as you embark on your journey to financial freedom! Before I show you the FREE video and step-by-step guide below, I wanted to take a moment to introduce myself. It’s hard to believe that just five short years ago, I was just a fresh-faced kid out of college working a low-paying office job. That definitely wasn’t the life for me! But, thanks to the opportunities selling on Amazon FBA afforded me, I was able to leave behind the 9-5 life and build the life I wanted to live. Since then I’ve visited every continent on the globe, been on tons of exciting adventures, and still managed to build a massive Amazon FBA business with over 200 products and 8-figures in revenue. Now it’s my time to give back to you and show you exactly how to sell on Amazon FBA so you can have the life YOU deserve. With the help of one of my most trusted friends (and a successful Amazon seller himself!) Lenny Smith, we’re going to show you exactly what you have to do to get where we are. Amazon offers an incredible opportunity for entrepreneurs to create a fully functional online business from the comfort of their homes. Access to Amazon’s 2.5 Billion monthly shoppers means high sales for your business. 24 years of market trust that Amazon built ensure shoppers trust you, too. Amazon’s Fulfillment-by-Amazon program does all the hard work for you. Sales estimation software such as Jungle Scout lets you predict sales in advance. Easy scalability – your business can be as small or as big as you like! If this is the first time you’ve discovered Amazon FBA, don’t worry. We want to make sure you understand how it all works. If at any time, you have questions, or need assistance, don’t hesitate to reach out to one of our success representatives. Keep reading to learn the basics of selling on Amazon. Then, when you’re ready, Lenny will explain our favorite method of selling on Amazon called private label. If this is the first time you’ve discovered Amazon FBA, don’t worry. We want to make sure you understand how it all works. This part of the article will cover the basics of How to Sell on Amazon FBA. Amazon FBA literally means Amazon Fulfilled-by-Amazon. In the Amazon FBA program, Amazon does all the hard work for you. First, you send Amazon your products and they store it in one or more of their million acre fulfillment centers. The fulfillment centers are like massive warehouses run by robots and hardworking Amazon employees. Then, your products are inventoried and sorted. They are taken good care of. And if on the off-chance something is damaged in one of Amazon’s warehouses, Amazon will actually reimburse you the full retail price for the damaged good! When a customer places an order on Amazon for your product, Amazon handles the transaction for you. The entire process is automated. Next, your product is picked from its place on the shelves, packed into a box, and shipped to the customer on your behalf. After your product arrives to the customer, Amazon follows up with the customer to make sure everything is okay with the order. And, if any need to be made, Amazon automatically takes care of that, too. If Amazon does all the work, what do I do? Pick the products. Amazon handles all the back end work, but you need to decide what to actually sell. I’ll tell you about a few different methods of selling products on Amazon in a moment. Keep inventory in stock. Amazon will let you know when inventory is running low. But it’s your job to make sure that the things you sell stay stocked up. Promote and advertise. Amazon is a massive catalog of millions of products. Therefore, you’ll need to do a little work to make sure people find your products. But don’t worry–it’s pretty easy! 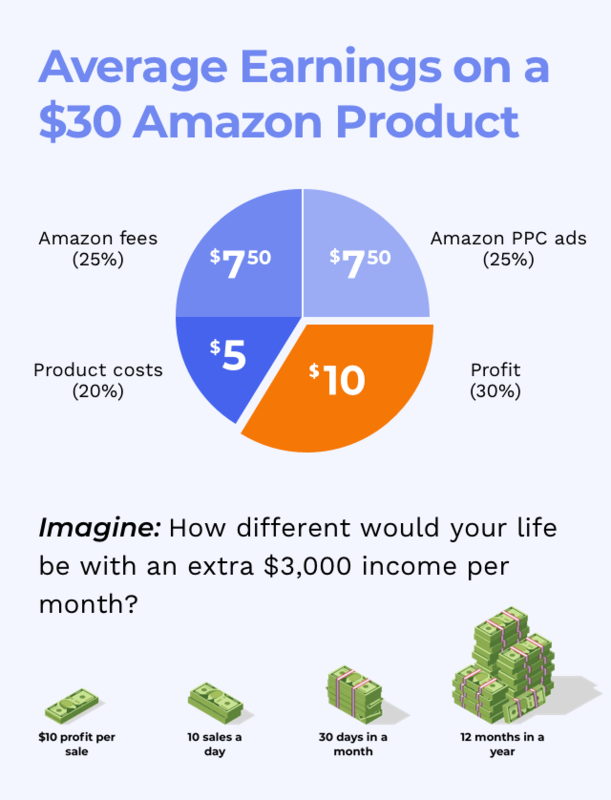 What does it cost to sell on Amazon FBA? Selling on Amazon FBA is very reasonable to get started with. In fact, if you’re selling products that you already own (like unwanted items around the house), you can virtually do it for free! There are two types of Amazon FBA seller accounts: individual and professional. Individual seller accounts are free, but have higher sales fees. And professional accounts have a monthly subscription fee of $39.95, but lower fees. We recommend you get a professional account if you plan on selling more than 40 items per month. But if you want to start slow with only a few items, then individual may be better for you. If this sounds like a lot, don’t worry! The fees overall are pretty low and actually end up costing you a lot less were you to do all the work yourself. Depending on the type products you choose to sell on Amazon, your inventory costs will vary. We recommend the private label method which does come with a moderate investment upfront, but you might choose to start with just a few things around the house to get a feel for how to sell on Amazon FBA. It’s totally up to you! Which is better to sell on: Amazon or Ebay? Ebay is like the world’s biggest flea market. You set up your “stand”, offer your products, handle transactions, shipping, and everything else. It’s 100% your responsibility. Therefore, you may end up putting more work into it for less profits. Amazon FBA is like owning a shelf at a very large department store. Your biggest job is to make sure that your shelf stays stocked and that it’s visible. Unlike ebay, however, the department store handles the transactions, shipping, and all the tough work. In my experience that equals less work and more profits. If you’d like to learn more, read this article about the differences between selling on Ebay and selling on Amazon. Find low-priced items in retail stores or other online marketplaces to resell on Amazon at a higher value. Buy bulk discount branded goods to resell on Amazon at a higher value. Purchase used books at book sales, yard sales, or other places to resell on Amazon at a higher value. Research and manufacture your own branded products to sell on Amazon FBA where you control every aspect of the product. *This is my preferred method how to sell on Amazon FBA. A private label product is manufactured by a contract or third-party manufacturer and sold under a retailer’s brand name. In other words, you take a product that already exists and manufacture it with your own brand and logo. I am a private label seller. As are most of the team here at Jungle Scout. In fact, most successful Amazon FBA sellers are private label sellers. Why sell private label versus the other methods? Less work sourcing. You only have to source a single product in large quantities versus many small products like you would with arbitrage or used book sales. Price control. The Amazon listing for your product is under your control. Therefore, you don’t have to worry about underpricing your competition like you would with wholesale or arbitrage. Higher profits. In my experience, private label is the most profitable and predictable method of how to sell on Amazon FBA. How much money can I make selling private label? How much work does the private label method take? Ever hear of the 4-hour Work Week by Tim Ferriss? It’s the idea that you can design the lifestyle that you want so long as you can put your income on autopilot. And that’s pretty much what you’re learning when you learn how to sell on Amazon FBA. Once your product is created and live on Amazon, you don’t have to do anything else but check on your advertising and make sure your inventory is stocked. Just 4-hours a week and you can earn an extra $3,000 per month! How do I create my first private label product? Research high-demand/low-competition products using our easy-to-use app called Scout. Source those products through Alibaba, a website that puts you in touch with 1000’s of manufacturers who are eager to do business with you. Create a brand new listing on Amazon. It’s so simple, you can do it in less than 40 minutes. Ship the products to an Amazon warehouse so it can be part of the Amazon FBA program and you won’t have to do all the back-breaking work. Launch and advertise your product using Amazon’s own advertising system which is as simple as clicking a few buttons. Then, all you have to do after that is sit back and watch the profits roll in! 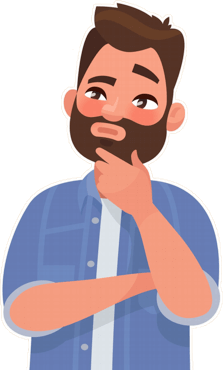 Watch Lenny’s video where he describes, in detail, how to find, source, and launch profitable private label products on Amazon FBA. Ready to start your Amazon product research? Start looking for your perfect Amazon product today by signing up for Jungle Scout. I know this is a lot of information to digest, but now it’s time to demonstrate how easy it is to find a private label product for you to sell. This is an important part of selling on Amazon called “product research.” If that sounds like a lot of work, don’t worry. Believe it or not, Amazon actually offers up data on how well each of their products sell. 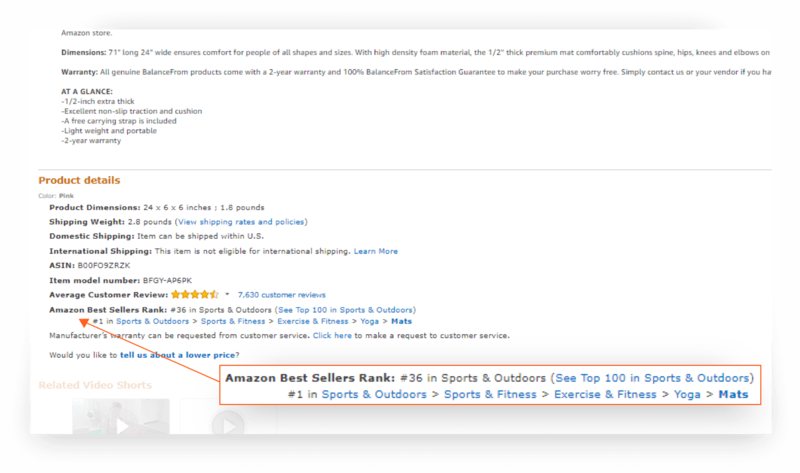 In fact, one of the key metrics that we use to determine a product’s demand is found right on the Amazon product pages: the Best-Seller Ranking (BSR). What is the Amazon Best-Seller Ranking? Each and every product on Amazon gets a BSR. The lower the BSR, the more sales the product makes. We can take the BSR and translate it into average monthly sales. Of course, it only helps you learn how well one product is doing at a time. We want to see how multiple products in a single search (also called a ‘niche’) are doing and what their average is. You could do all of that by hand on a spreadsheet, but it could take you hours. That’s what I used to do when I started, and I don’t recommend it! Fortunately, I created a better way: the Jungle Scout Chrome Extension. With the Jungle Scout Chrome Extension, you can pull up an Amazon search page and simply click the “JS” Chrome button to discover how profitable that product niche is. Immediately, the Chrome Extension creates a spreadsheet that estimates the sales for each and every product on that page in 10-seconds or less. Average Best-Seller Ranking. The lower this is overall, the better it is for your future sales. Average Price. This shouldn’t be too high or too low. In fact, I like to look for products priced between $18-$60. Average number of reviews. This lets you know how competitive a product is. I aim for products with less than 100 average reviews. Opportunity score (Pro version only). This awards each product niche a rating from 0-10. 0 being the worst, and 10 being the absolute best. 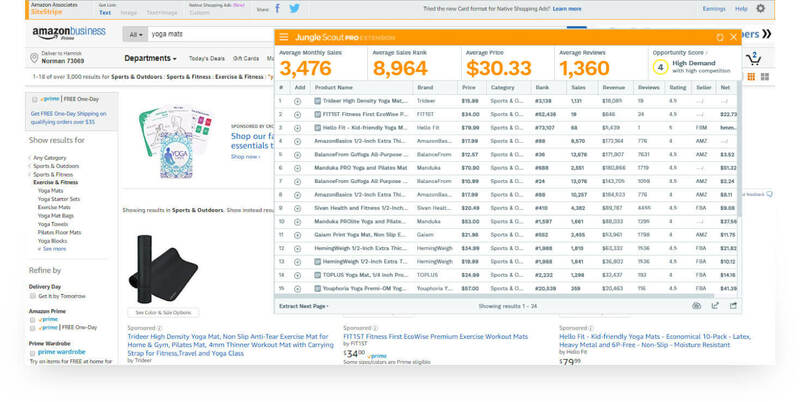 Armed with this powerful tool, you can quickly search through multiple product categories in just a few minutes. Seller data. See who is selling the product: whether it’s another FBA seller, a merchant seller, or even Amazon itself. Historical rank and sales. Want to know how well the product has done over time? Clicking on the BSR and average sales for each product will tell you. Google trends. Is your product a seasonal product or is it popular year around? You can find that out, too! International compatibility. The Jungle Scout Chrome Extension works in all Amazon marketplaces worldwide (Australia coming soon). Remember when I mentioned that the average private label product can earn as much as $3,000 per month in profits? That’s $36,000 per year. And all it takes is a few minutes of research to find your dream product. Now that you know a little bit about selling on Amazon and we’ve shown you how to find a private label product using Jungle Scout, it’s time to consider the other elements of the Amazon FBA private label model. Once you’ve discovered your product through research, you’ll need to source it through a manufacturer. There’s plenty of options out there, but your best bet is with Alibaba. We include, in detail, how to source products through Alibaba in this free guide: The Sourcing Ebook. You can also check out these two sessions from our Million Dollar Case Study series: Outreach to Suppliers, and Evaluating Samples. Then, after you’ve made a deal and your products are being created, it’s time to start building your Amazon product listing. 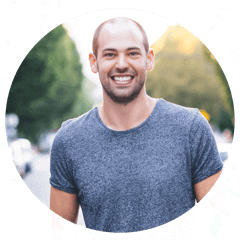 This is an incredibly important part of how to sell on Amazon FBA, so we want to make sure you know all the best tricks, tips, and strategies to build a listing that sells. Make sure you read this guide, which is part of our infamous Million Dollar Case Study: How to Create an Optimized Amazon Listing. Next, you’ll need to ship your product from the manufacturer to Amazon. This might seem difficult, but we’ve actually got a few resources that can make this as easy as ordering a pizza! Check out this guide on how to ship your products to Amazon. Million Dollar Case Study: How to Import from China. Finally, you will need to launch and promote your product once it hits Amazon. Again, this might seem difficult, but it’s crazy easy. In fact, once you knock this one out, there’s very little you’ll have to do beyond tracking ads and making sure your stuff stays in stock. In other words: congratulations! You’re at the finish line. Here’s another guide from the Million Dollar Case Study that shows you some tips and tricks to launching and promoting your product: Amazon Product Launch Strategies. Amazon FBA changed my life. And I hope it can help you change yours, too. Whatever it is that you want, whether it’s financial freedom, a 4-hour work week, or just the ability to create something that’s your own, I want to help you succeed. At Jungle Scout, we will never charge for education, all of our resources are 100% free. In addition to Lenny’s training video, the step-by-step coaching guide and the free ebook, we have thousands of minutes of free guides and videos. Head over to our Resources Page to learn more about the world of Amazon selling. If you don’t happen to find the information you’re looking for, just send us an email and we’ll work on it! And as always, if you have any questions, don’t be afraid to reach out: [email protected]. 2019 is here! Start your new Amazon business by signing up for Jungle Scout today! Don’t forget about your FREE ebook! Includes: Download the full PDF with 140 pages of step-by-step instructions and best practices for starting your own Amazon seller business!